Do You Love Your Statements? 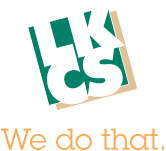 LKCS anticipates our clients’ needs, continuously improves our solutions, delivers outstanding customer services, and fulfills our promises. We make each of our customers look like the hero in their organizations. WE LOVE OUR CLIENTS! If you or any of your colleagues are unhappy with their current statement or e-statement provider, we encourage you to see why LKCS customers award us with an over 98% customer satisfaction rating. In today’s Webinar Wednesday episode, our Vice-President of Business Development, Sid Haas, discusses new ways LKCS can help financial institutions to re-ignite the spark in your statements and e-statements. LKCS can prepare your statements in just about any format or layout imaginable. When LKCS begins programming you will be asked to let us know of any specific formatting options, styles or statement elements that you would like to incorporate. Other Statements Daily Notices Credit Card Statements. TAKE ADVANTAGE OF “FREE” POSTAGE! Include targeted advertising with your statements. Selective Inserting – Take statement stuffers one step further. Target which members receive certain inserts. Selectively insert brochures, flyers and newsletters by criteria. ANY other conditions identifiable in your statement data. ANY other conditions identifiable in a separate control file. Clearly the future for majority of account statement. Banner Ads – Link to web pages or PDFs. Appear for all account holders or selectively. Advanced permissions: restricted account numbers, user roles, auditor access. The integrity of your statement data is extremely important to LKCS. We have numerous systems in place to protect the privacy of your account holders’ financial information. Accuracy and Security. We undergo annual SOC Type 2 audits. Numerous information security procedures and policies are in place. Employees are trained and tested on all computer and data policies. Statement page and envelope counts are verified multiple times to account for each member statement. All computer systems are behind NCSA- certified firewalls and routers. Staff is notified of intrusion attempts. All operating systems and applications are routinely patched and updated. LKCS hires information security firms to regularly perform network intrusion tests. We have a formal disaster recovery contract and plan in place with a company in Nashville, TN to provide statement processing services for our clients in the event of a disaster. Our statement printing and inserting equipment has been custom-designed and configured to ensure unrivaled accuracy. Barcodes and inserter marks are used for verification. E-Statement data is encrypted and transmitted utilizing true 128-bit SSL security. All employees undergo complete background checks before hiring. Our building has been designed with security in mind. All entrances are protected by biometric and PIN-based entry systems. All archive CDs are encrypted with military-grade software requiring strong password authentication. 98% customer satisfaction in last survey.